So, I am taking a day to recoup and gather my thoughts. I'm also stock-piling entries that I've previously written, since we all know I'll be hard up for time here soon. 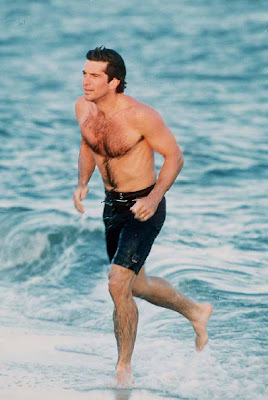 In the meantime, enjoy some yummy JFK Jr. Still such a shame about his death. I would've loved to have seen what he became.